I’m really excited to share this flavour-packed, juicy, slow cooker lamb and veg tagine with you. 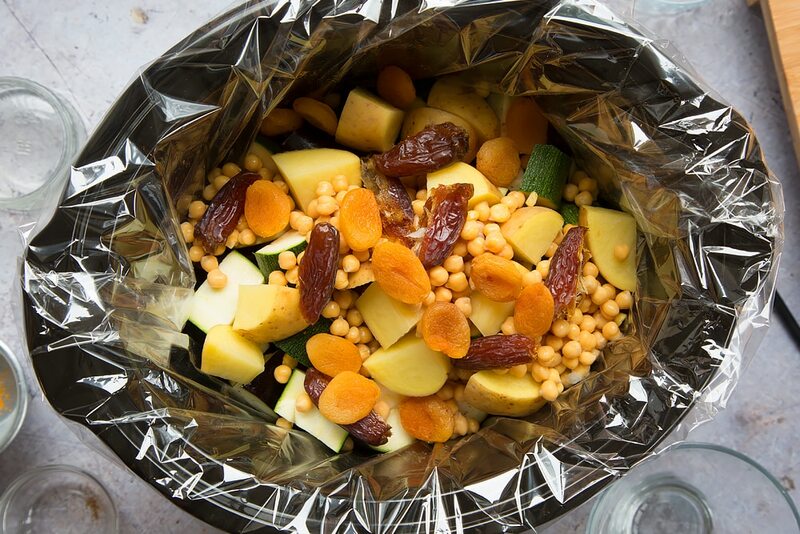 This is a dish that really plays to the saying, a little preparation can go a long way. 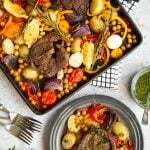 It takes just a few minutes to get everything ready and then it’s just a case of enjoying your day while the ingredients cook together to create something truly delicious, full of rich Moroccan-inspired flavours with succulent lamb that falls off the bone and sweet, aromatic veg. 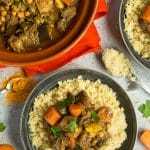 Traditionally, a recipe like this would be cooked in a tagine, a large, earthenware pot with a conical lid designed to trap steam and return moisture to the dish as it slowly cooks over hot coals. 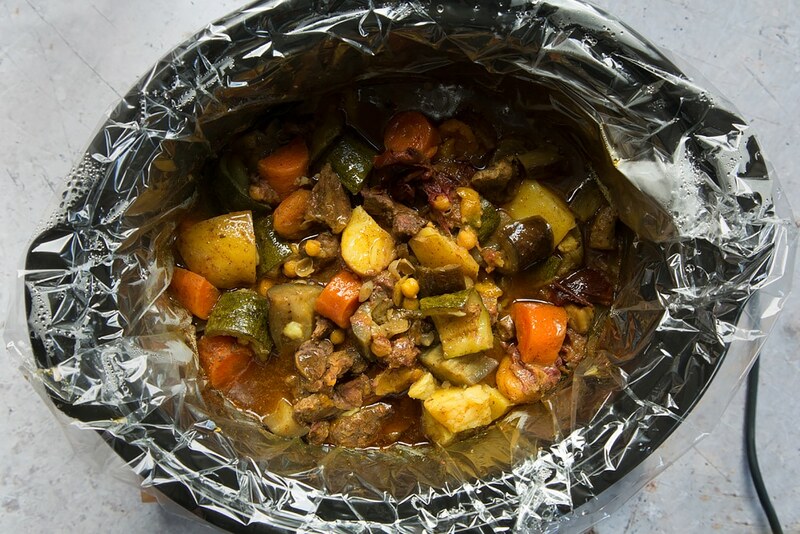 Handily, you can get very similar results with an electric slow cooker, which releases gentle heat and locks in all that beautiful flavour to make everything mouthwateringly tender. 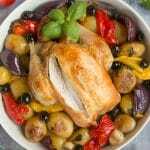 So, with a super quick prep time and a ‘set it and forget it’ cooking method, what’s not to like about this dish? 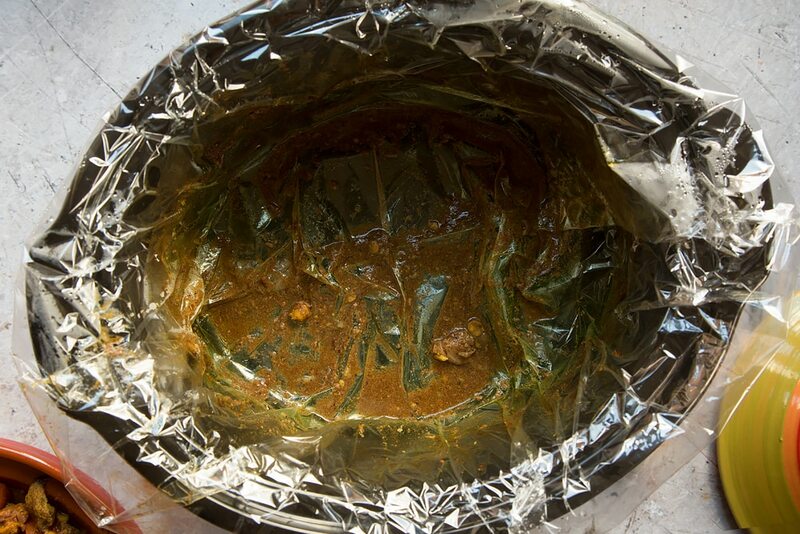 Well, there’s still one thing…the pot clean-up, right? Wrong! 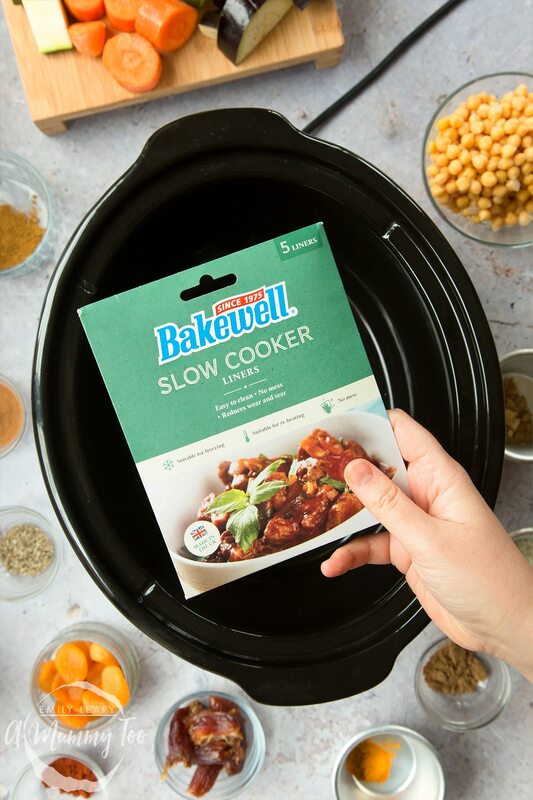 Thanks to Bakewell Slow Cooker Liners, your pot will be clean as a whistle right after cooking. It takes seconds to line your dish and you’re done. 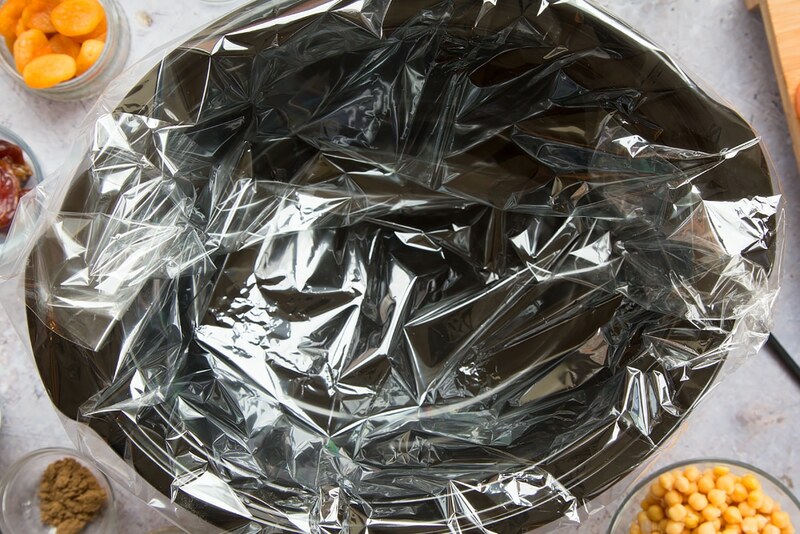 The liners don’t affect the taste or cooking time whatsoever, they just keep the pot completely clean and reduce wear and tear. 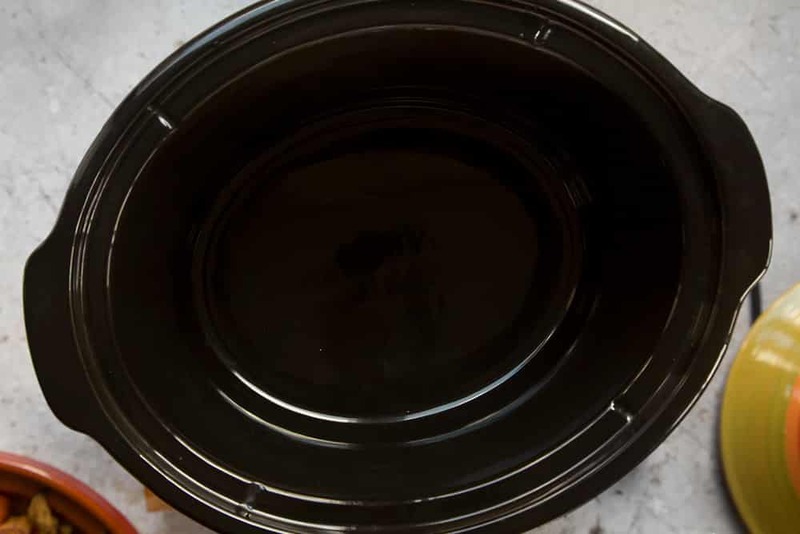 This is my dish immediately after I served up my tagine. I fell in love with the liners from the first time I’ve used them. 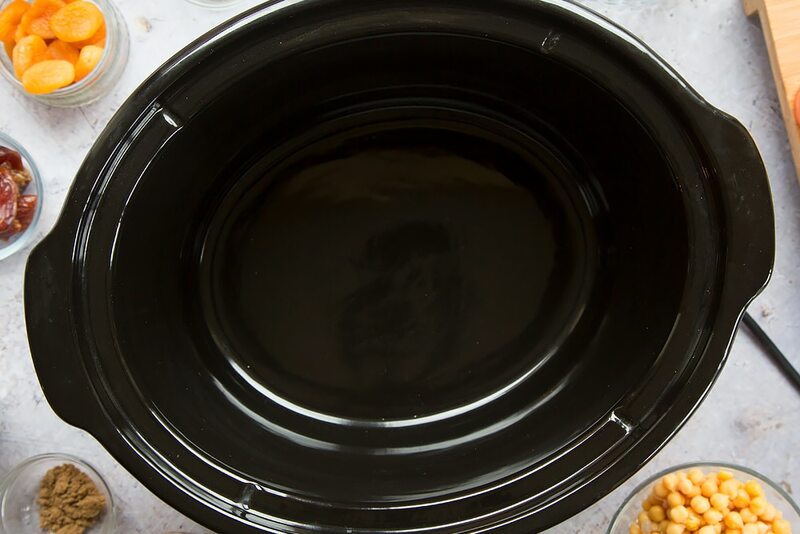 Slow cooker pots are big and unwieldy and so not the easiest things to clean especially when sauces have baked on to them. 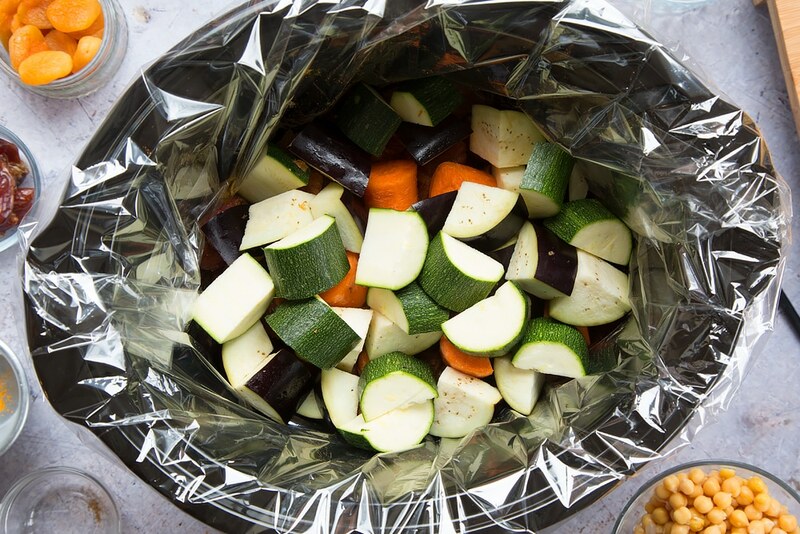 With the liners, clean-up time is reduced to pretty much zero, and the bags can be frozen as well as used in the oven, it’s a win-win-win-win. 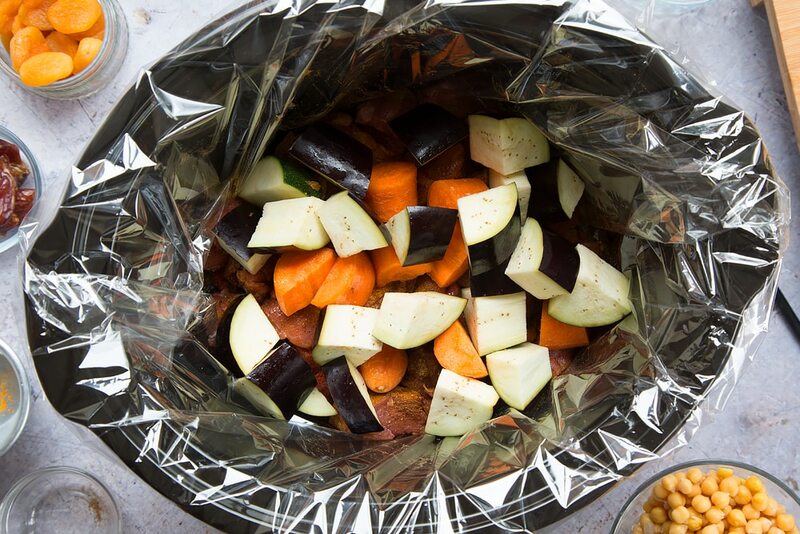 Put the liner into the slow cooker. 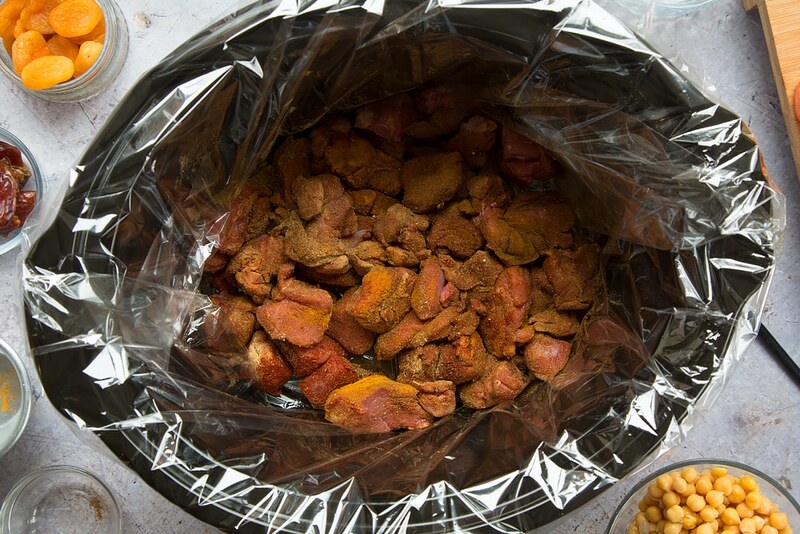 And all of the spices – ground ginger, ground cumin, ground coriander, cayenne pepper, ground cinnamon, turmeric and ground pepper and salt. Stir gently to coat the meat. 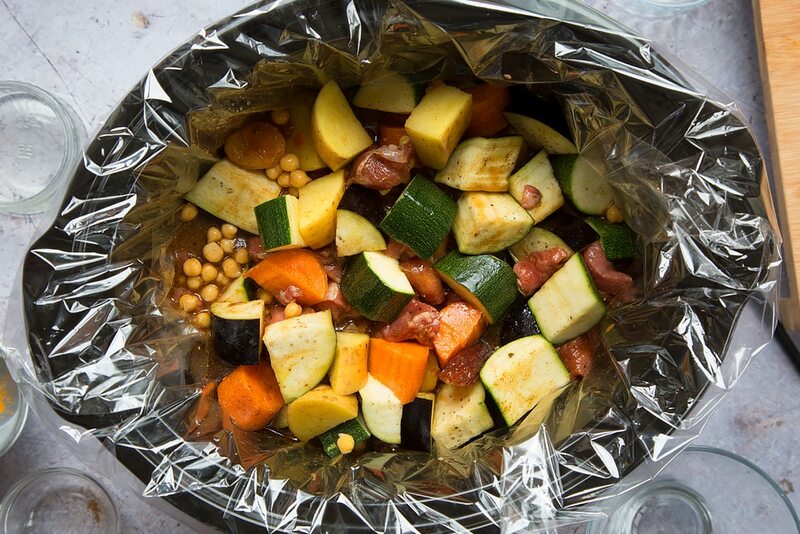 Add the carrot, aubergine, courgette, potatoes, chickpeas dates and apricots. Pour the hot chicken stock on top. 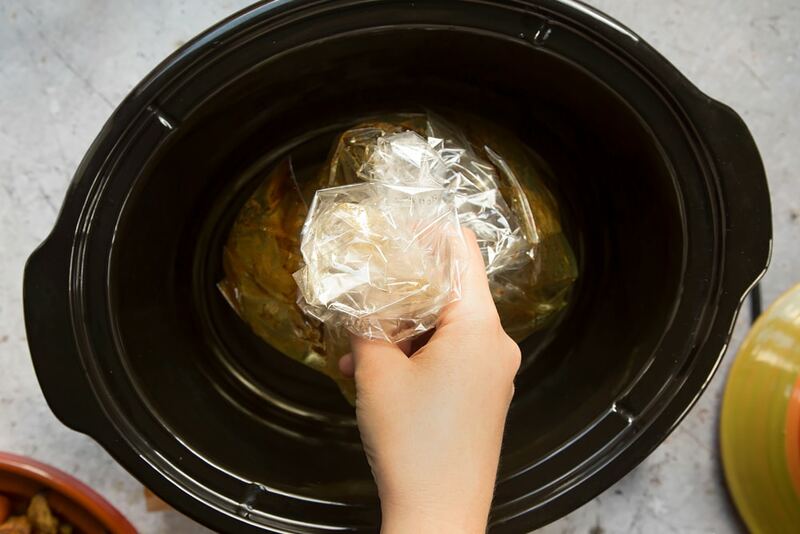 Place the lid on the slow cooker and cook on low for 8-10 hours or high for 4-5 hours. Once all served up, lift out the bag. 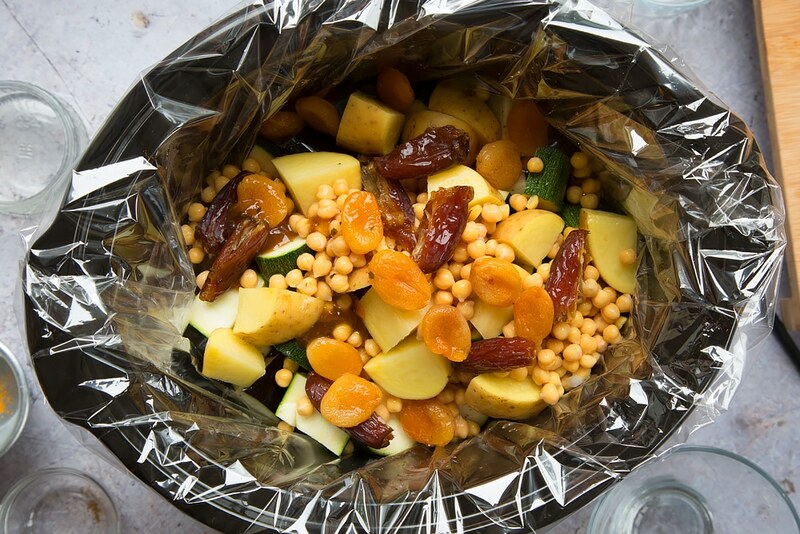 Serve your tagine. 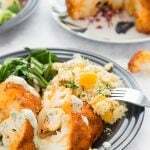 Couscous is a perfect accompaniment, along with a few leaves of fresh parsley. 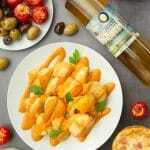 Don’t forget to check out the whole range of Bakewell products at www.bakewellproducts.com. And if you’d like to print this recipe to try later, just hit PRINT on the recipe card below. 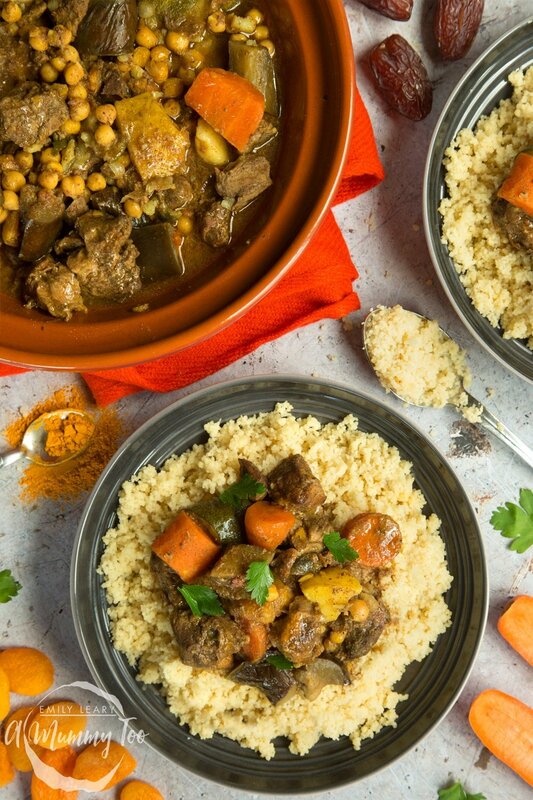 Super easy to prepare and cook, this fragrant slow cooker lamb and veg "tagine" is full of Moroccan flavour and utterly delicious. 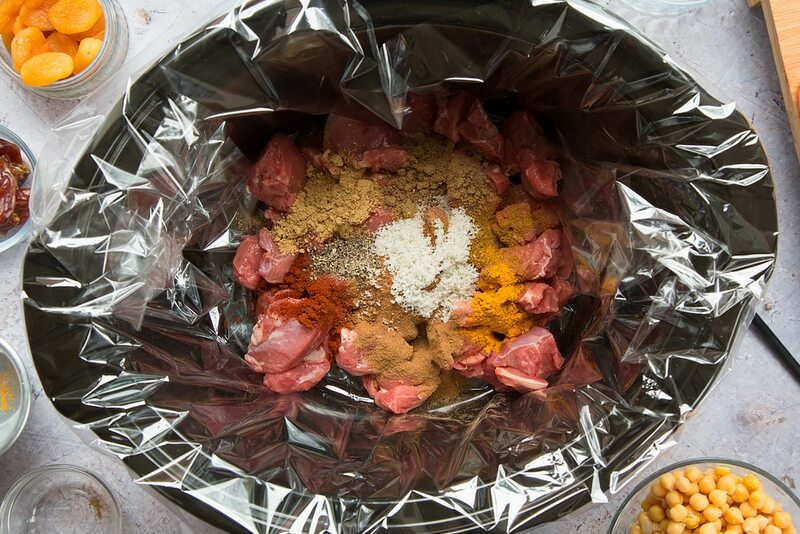 Add the lamb and all of the spices - ground ginger, ground cumin, ground coriander, cayenne pepper, ground cinnamon, turmeric and ground pepper and salt. Pour the hot chicken stock on top. Stir once. This is a commissioned post for Bakewell. 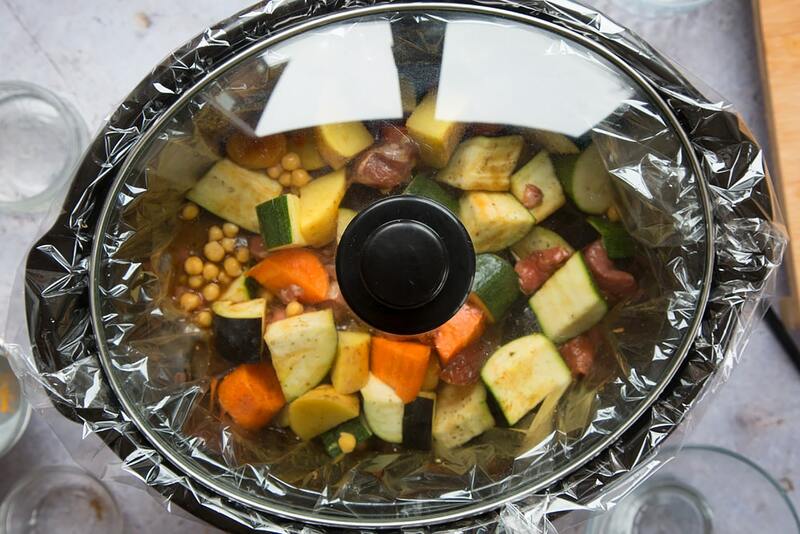 We just got our slow cooker back out last week after it hibernated for the summer and I have been planning what we can cook next. I am going to try this next week, it sounds delicious! Yay, I hope you enjoy it. 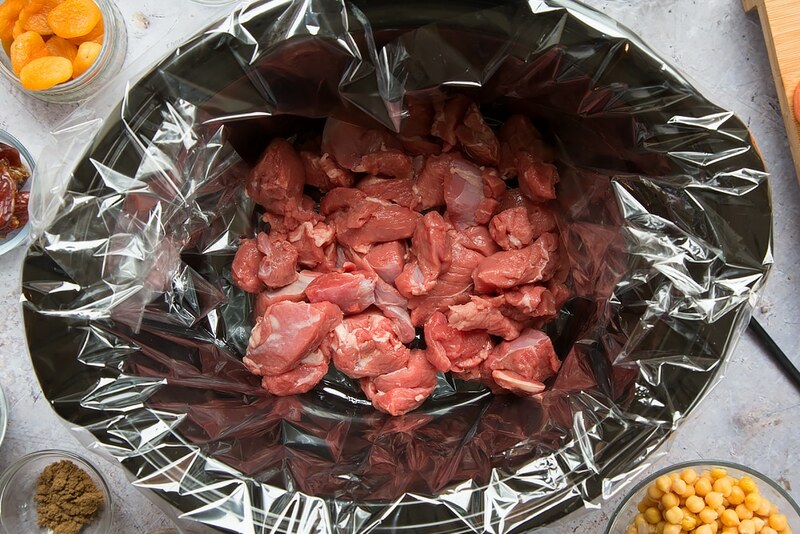 I love my slow cooker. Those slow cooker liners look amazing!!!! I end up having to scrum mine as everything seems to burn on. Definitely need to get some! 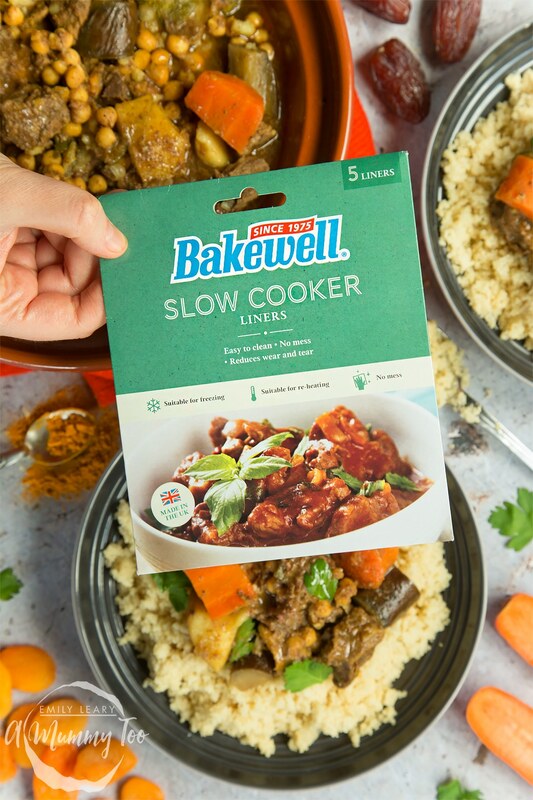 Absolutely – these Bakewell liners are great! 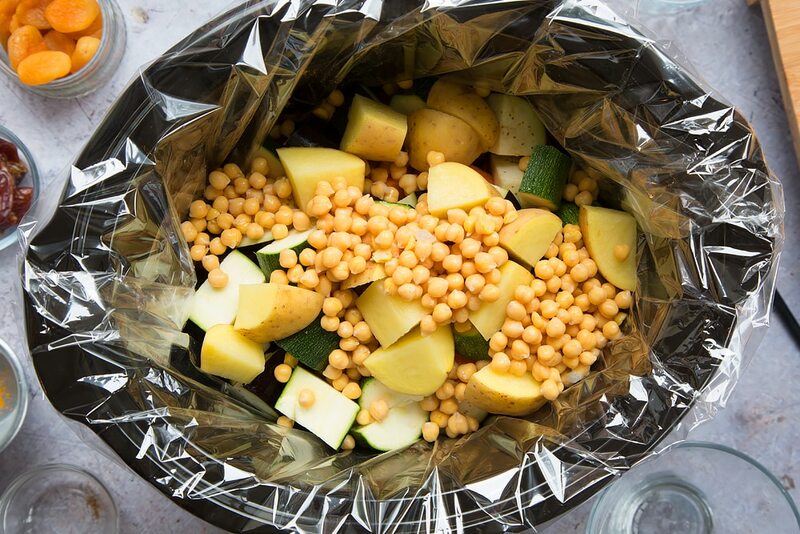 Good to hear that you’re going to give this recipe a try – let me know how it goes! 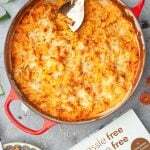 This looks amazing and I love that it saves on washing up too!! Thank you! 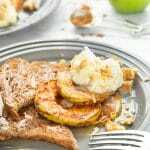 This meal is really delicious and I’m definitely all in favour of less washing up!